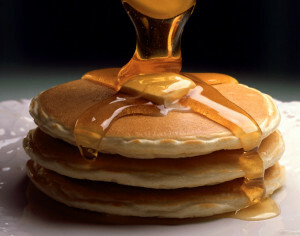 Rich Maple Syrup is our primary source of energy while on The Lemonade Diet, but it isn't only chosen to give us energy. Every first-grader knows we eat to get energy. 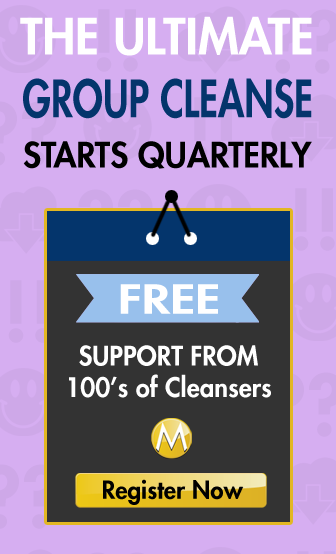 But what most non-cleansers don't immediately understand is that you don't need a cheeseburger and coke to keep you going. You can get it from any food source (some say you can even get it from the sun — google sungazing for a real mind trip). And rich maple syrup (not the Aunt Jemima variety) happens to be a fantastic source of energy filled with vitamins and minerals. What is Rich Maple Syrup? Most first-graders also know that Maple Syrup comes from trees. I like to call it “Tree Blood”. This term seems to somehow qualify the idea of the true nutritional value of the Pure Maple Syrup. I use the term Rich Maple Syrup so there is an immediate pause in people's minds before an imaging of Aunt Jemima is conjured up –which is an assumption most of make when we are learning about the maple syrup element of The Master Cleanse. Aunt Jemima is highly refined table sugar. It is completely devitalized. Any other “imitation” syrup likely contains no Maple Syrup at all. Look at the label for clever allusions to Maple Syrup like: “Pancake Syrup”, “Waffle Syrup” or “Table Syrup”. These syrups usually contain no Maple Syrup at all, but are instead high fructose corn syrup or other highly refined white sugars which are, in my honest opinion, the leading cause of disease in modern society. 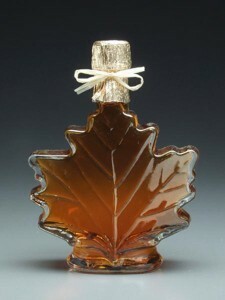 Labelling Laws prohibit these syrups from having the word “Maple” in their names, but they will still associate themselves with the source they imitate buy using related images like pancakes and waffles. An interesting note I picked up from Wikipedia: “French Canadians sometimes refer to imitation maple syrup as sirop de poteau (“pole syrup”), a joke referring to the syrup as having been made by tapping telephone poles. Why Rich Maple Syrup for The Master Cleanse? Maple Syrup was chosen by Stanley Burroughs for specific reasons (as was every other ingredient — Fresh Lemon Juice, Cayenne Pepper and Pure Water). It was chosen because it is a very high quality, concentrated source of energy when consumed in its purest state (as close to right-from-the-tree as possible) and is packed full of nutrients, minerals and vitamins. The amount and variety of nutrients in the Maple Syrup depends on where it is from and the soil conditions of that location. The tree takes up nutrients from the earth and they “become” the tree. This is just one of life's little miracles that we take for granted, and food for thought when we are considering the choices available to us with the syrups we buy. Somehow we forget that there are “green” choices; natural choices straight from Mother Earth. Maple syrup consists primarily of sucrose and water, with small amounts of other sugars such as fructose and glucose. Organic acids, the most notable one being malic acid, make the syrup slightly acidic. Maple syrup has a relatively low mineral content which consists largely of potassium and calcium, but maple syrup also contains nutritionally significant amounts of zinc and manganese. 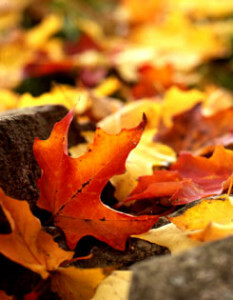 Maple syrup contains trace amounts of amino acids, which may contribute to the “buddy” flavour of syrup produced late in the season, as the amino acid content of sap increases at this time. Additionally, maple syrup contains a wide variety of volatile organic compounds, including vanillin, hydroxybutanone, and propionaldehyde. Just to confuse everyone, there are 3 different grading systems for the 3 main regions of production: Canada, The U.S. and Vermont. The numbers range #1 – #3, and letter range from AA to D. Regardless of the label, they all refer to the darkness or the color of the Maple Syrup (and the strength of flavour). AA is lightest. D is darkest. #1 is lightest. #3 is darkest. So Which Grade of Maple Syrup is right for The Master Cleanse? The Darker the Maple Syrup the better. You CANNOT use imitation syrup. All natural forms of Maple Syrup are acceptable, but do your best to find the highest quality you can. Remember, the darker grades are D and #3. These grades don't directly refer to quality of the Maple Syrup, but the darker grades are collected later in the season (February – April) and so are said to have more nutrients on account of being a fresh product of the tree. The first harvest takes syrup out of the tree that was stored all winter. Later harvests are freshly produced from the nutrients in the soil. 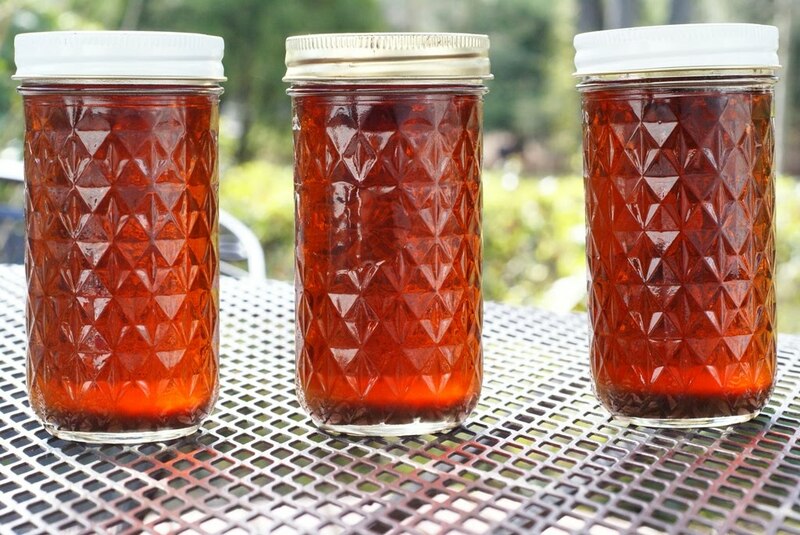 During the winter the stored syrup will lose minerals over time. The newest addition to this list : Coconut Nectar – 100 % raw, vegan, low glycemic, low fructose, very nutritious as well as has neutral PH. 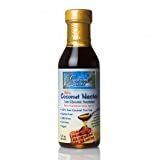 Agave nectar – very controversial these days and in some cases made of inulin and processed to fructose and half-sugar which is a devitalized. High glycemic sugar. Honey – A Pre-digested food that is disdained by Stanley Burroughs. People sometimes refer to the Master Cleanse or the Lemonade Diet as the Maple Syrup Diet (or the Cayenne Pepper Diet, the Beyonce Diet, etc…) They are the same thing. Made famous by Beyonce, Angelina Jolie and Gwyneth Paltrow, the Master Cleanse is one of the hottest cleanses in Hollywood. Beyonce even used it to slim down for her movie ‘Dreamgirls'. The 3 main ingredients often get switched around, but don't be confused; they are all referring to The Master Cleanse. “I’ve never felt this good about my body before,” said Robin Quivers, sidekick to radio show host Howard Stern. I’m confused as to why you can’t use agave? it is very difficult to find proper real maple syrup. it’s is not common and expensive. is there really no good substitute for it? Do the cleanse. Save an extra $20 for the next couple weeks and buy the pure Organic grade A or B dark maple syrup. I am sure you spend money on food don’t you? Well on this cleanse you won’t be eating anything but this drink which will be considerably cheaper than what most people would spend in two weeks on regular food. Good call Brian! I’ve actually been cghuat in the conundrum of choosing real maple syrup or non. I learned cracker barrel switched to the sugar syrup a few years ago. That was heart breaking. But I have found some real maple syrup at the grocery before. Pretty good stuff! I’ll probably have an eye on this next time I head to Kroger. Please, never, ever use non-real-maple syrup. You need a nutritious, low-glycemic loading sugar source. So,thought I was using maple syrup until day 5 I realized it was corn syrup (misleading bottle and imaging). Found a bottle of the real stuff and decided to continue, but wondering how bad is it since I went 5 days off the wrong stuff? Per THE BOOK: “An ideal formula involves freshly extracted juice from the sugar cane (readily available in India, but not generally in the United States at the present time):10 oz. fresh sugar cane juice (medium hot or cold) 2 tbsp. fresh lime or lemon juice1/10 tsp cayenne (red pepper) or to taste “. ****My question is: how may times in a day I drink this 10oz SJC? Isnt sugar cane juice super sweet? Or do i just follow the traditional recipe and use Sugar Cane Juice as an alternative to Maple Syrup? we dont get maple syrup here in India. Oh, how interesting! I live in Pakistan, and in summer the sugar cane juice vendors are everywhere; they sell juice with lemon and some red chillies in it, which someone had once told me is a very important drink to have in summer. I would go specially to have it extracted for my daughter and I… just remembered! Haven’t bought it in a while. I would just like to ask if organic muscovado sugar (organic cane sugar) a viable substitute for maple syrup? Hello, I’m deciding on my substitutes for maple syrup, as I live in a small country in the east of Europe and this product is just disappointingly expensive – and hard to find, too. the same goes for it’s appropriate alternatives.. I’m afraid to ask a dumb question, but: would coconut syrup (a Monin one, I’ve read that theirs is all-natural) count for coconut nectar? And one more Q: do I strictly only drink the lemonade while on the master cleanse, or can I also drink some pure water (can’t live without that!) or green tea? I’m on Day 2, with my third time doing this. I have to say, Day 1 wasn’t nearly as hard as the first two go-rounds. Last time I tried the Cleanse was at least 2011. Other than feeling tired on Day 1, I feel pretty good and was happy to get to sleep naturally (I used to take Trazadone to get to sleep). Hopefully the Cleanse will be smooth sailing from here!